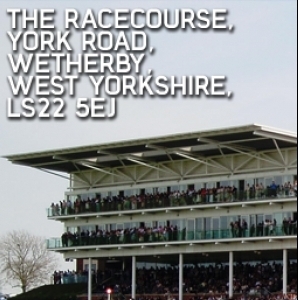 The ICT for Education national conference programme reaches Leeds on 25 April 2014 at Wetherby Racecourse. Meet the experts, network with peers, solve practical problems and discover new resources in just one short day - free of charge! Pick up your conference badge(s) from Reception on the day. If you would like to bring colleagues, they can register before the event or on arrival. We look forward to meeting you in Leeds. This presentation will cover strategies to engage primary students with elearning and consider the relevance of elearning to a range of subject areas and skill sets. It will also consider how to inspire students to become creative with technology, rather than simply learning to use it. A simple but effective message: "Take one idea and make it happen!" The new national curriculum for computing: past imperfect, present tense and future conditional. Bob will discuss benefits and challenges around changes to the curriculum. Question Time: How can the new Computing curriculum best be taught and will it meet the needs of students, business and industry? In this session we will look at the infrastructure solutions required to build a safe, reliable, consistent and scalable network that can support teaching and learning across school and underpin one-to-one and bring-your-own device environments. The presentation will cover everything from planning to operation, including issues such as security, device management and network management. This might be difficult to imagine at times but, in terms of resources and opportunities to learn from each other, this is a great time to be a teacher. Andy’s entertaining and informative session will explore some of the ICT tools and resources that provide reasons to be cheerful. Bob has extensive experience in schools and colleges as a teacher, leader, senior manager, principal and governor, and is the founder and director of Support for Education and Training. He has worked with headteachers and senior leaders in developing leadership skills for the National College and helped design and deliver the Building Schools for the Future leadership programme. Bob was also a member of the Becta Advisory Board. Bob has been Toshiba’s education adviser for 13 years and is a writer, presenter and researcher on digital technologies and next-generation learning. I have been in primary education for the whole of my working life, all 46 years of it. For the past 20 years, I have worked independently, devoting time to all aspects of enhancing teaching and learning with developing technologies. I have a passion for these new ways of working and am particularly interested in the development of the use of mobile devices to enhance life experience, teaching and learning. I have the pleasure of working with PGCE students at Leicester University School of Education and guesting at various universities where I support my colleagues in developing strategies to embed the use of technologies in a variety of curriculum contexts. For me, digital technologies are powerful and significant tools that should transparently enhance the work of dedicated teachers and support and inspire children and students to produce their creative best. Alderley Edge School for Girls. Matt Hogan has been head of ICT and elearning co-ordinator in Cheshire schools for over 17 years, working across five very different schools. He leads training sessions for primary and secondary teachers throughout the UK and is a Pearson National Trainer. Matt is currently working in schools to identify the impact of elearning on students’ engagement and achievement, while also teaching ICT and Computing at Alderley Edge School for Girls. He is an Apple Teacher with Swift Playground recognition alongside being a Certified Microsoft Innovative Educator and is an Associate Member of the British Computing Society. Tina George is an associate director at Sureline Communications, a business-to-business bespoke network solutions service provider headquartered in Kent. She is also a director at Sureline Support, which provides businesses with a virtual IT support service. Tina has been involved in numerous content and software developments for business and consumer products, including the integration of a collection of international company financial information databases into a single easy-to-use solution, and the creation of one of the first hotel and restaurant websites based on the world renowned Egon Ronay guides. Tina is passionate about ICT in education and through her companies provides young people with work experience and apprenticeship opportunities.